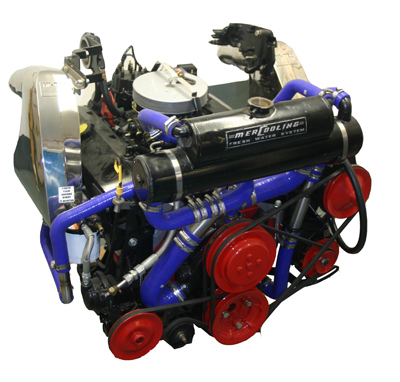 This engine is perfect for the discerning boat owner who either has to replace his engine, or wants to upgrade his performance without incurring any fuel consumption penalties. In fact by careful development and the use of competition quality components the efficiency of this engine has been improved to the point of actually using less fuel to produce more power thereby giving a noticeably more economical cruising speed. It delivers its power, both BHP and torque at a considerably lower RPM than standard "Crate" engines. A glance at the improvement in BHP and specification will show that this engine gives surprisingly good value for money. 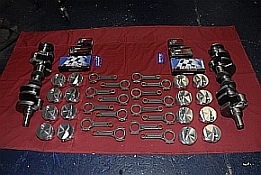 Like all Swaymar special series engines it is perfectly balanced too delivers bags more torque and BHP several hundred rpm lower down the rev range than its factory replacement counterpart. Specifically designed for Hi-torque, this engine is perfect for marine applications. These carefully considered engineering improvements result in a considerably faster boat but without the usual fuel penalties associated with more power. 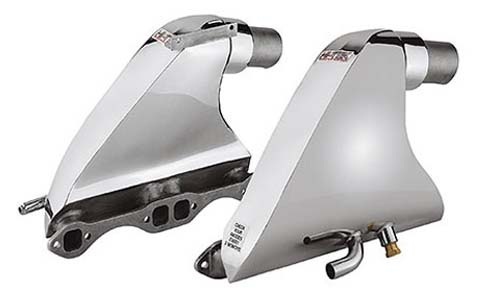 Light reshaping of combustion chambers and cylinder heads - Improve gas flow and increase torque.